This article is the first in a three-part series that details how to secure a WebLogic server. Keystores can be used to add a certificate to a WebLogic server. There are two types of keystores – Trust and Identity. A trust keystore contains certificates from a trusted Certificate Authority (CA) and does not contain sensitive information. An identity keystore contains the certificate for the WebLogic server and contains sensitive information used to verify the server. Oracle WebLogic provides default keystores that can be used to simulate SSL access in a test environment. This article details the steps in configuring keystores that can be used in a production environment to enhance Oracle WebLogic security. First, generate a public/private key pair and a self-signed certificate. Set the environment by running the setDomainEnv command. Execute the keytool genkeypair command to generate the key pair and create a keystore. This command creates the keystore if it does not already exist. The key pair and the self-signed certificate are placed in the keystore. Display the contents of the identity_keystore.jks keystore with the following command. 2. Obtain the Root CA certificate. There are various options here depending on organization policy. As directed, submit the resulting file to your Certificate Authority. The CA should return a signed certificate. Import the Root CA Certificate into a trusted keystore. This is the Root CA certificate obtained in Step 2. This will create the trusted keystore if it does not exist and place the CA Root certificate in the trusted keystore. When configuring keystores, it is important that the certificate chain from the CA Root certificate to the signed certificate is completed. In some cases, for example, when there is an intermediate CA, it may be necessary to import a certificate chain file into the trusted keystore. Check with your CA or organization policy to determine if what is necessary. The following command is used to import a certificate chain if necessary. Import the Root CA Certificate into the identity keystore created in Step 1. This is the Root CA certificate obtained in Step 2. If necessary, import the certificate chain into the identity keystore. See step 5 above for an explanation. Execute the following command if necessary. Import the signed certificate into the identity keystore using the following command. Note: The private key alias should be the same as the private key alias from Step 1. Examine the contents of the keystores. At this point, the keystores should be configured. 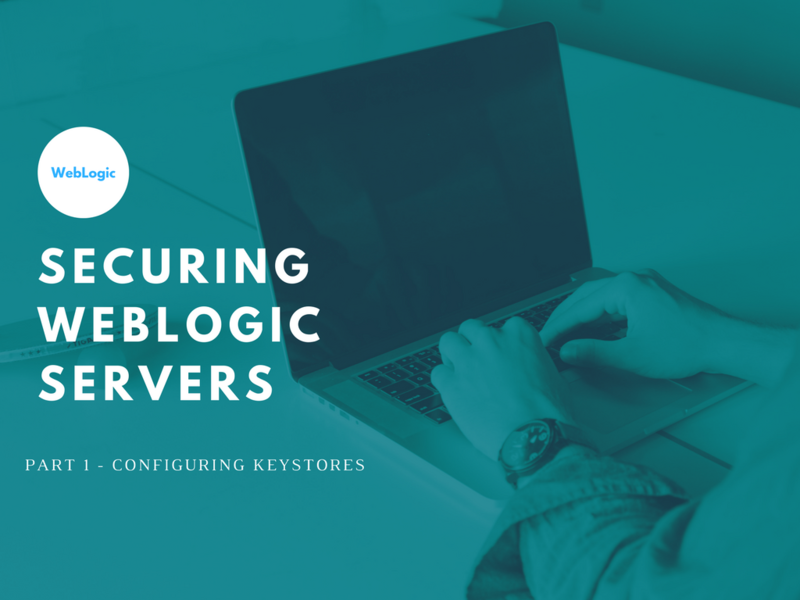 Now WebLogic should be configured to recognize the keystores.